Do you want a portrait with a WOW factor? Our canvas wall art is the perfect symbol of the love between you and your furbaby that will enhance your home decor. Ready to hang, your canvas artwork is perfect for display in the living room or entrance way and is sure to be a conversation piece for your guests. Photographic wall art is another beautiful way to celebrate your furbaby. Our timeless white and black backgrounds are designed to complement any decor and never go out of style. Our folio collections are a great way to keep additional portraits that you love. 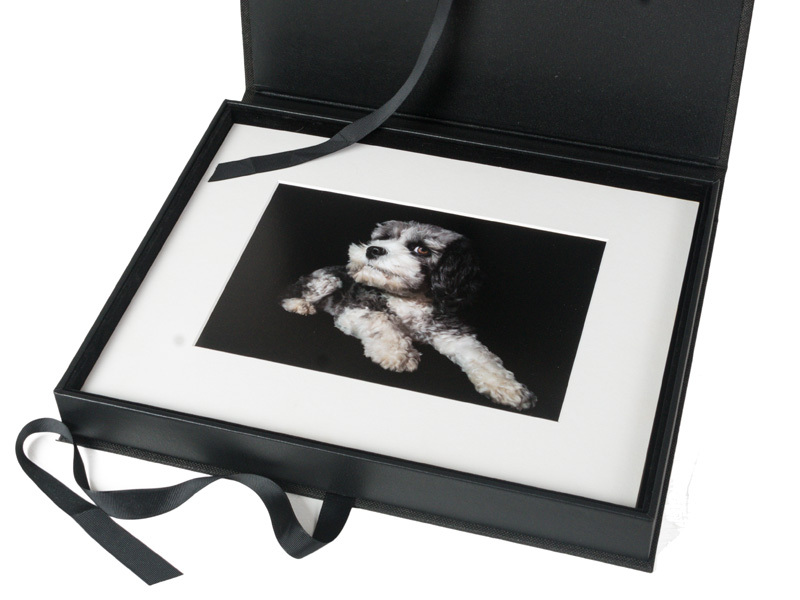 Your collection of up to 10 images comes with a beautiful handcrafted keepsake box. The portraits are mounted and ready for tabletop display on an easel.